Almost immediately green lantern feels like a dud. This is because it is hard to warm to an alien opening character, let along a slew of 'em. So from the moment the lights go out, Lantern seems to shimmer in an unnatural light, and not in a good way. 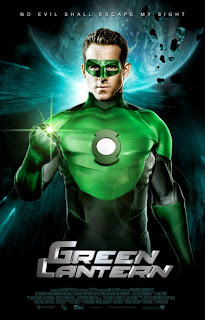 Ryan Reynolds as Hal Jordan also seems a touch too quirky for a superhero. His glowing green outfit and Prince Valiant mask actually make one chuckle initially, which the filmmakers apparently anticipated. 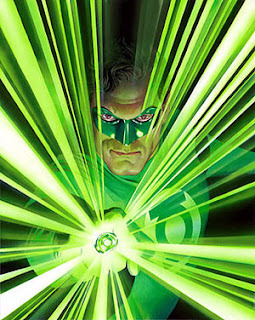 I read a lot of comics as a kid, and the Green Lantern I liked worked alongside Supes or Batman, or the Justice League. Some of the comic legacy plays off on a faraway world, something I found too exotic for my taste, and the idea of an army of Green Lantern's simply dilutes the impact, or necessity, of a human one. 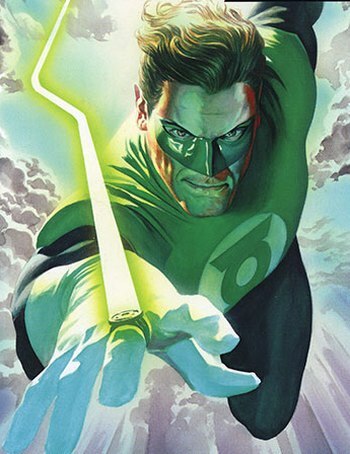 Thor, I felt, pulled off the other-world trick far better than Green Lantern does. Still, somewhere inside all the rollicking high jinx it is simply a pleasant, no enjoyable, afternoon's entertainment. For much of this flick, the Lantern superhero fares fair to middling. Fighting a giant space glob is somehow not a very compelling dual either. That said, the flick seems to find its wavelength in the last act. There is a build-up, you see, of this idea of will-power versus fear, and the flick does demonstrate this in a way that resonates, that is inspiring, and deeply satisfying. Surprisingly so after such a faint, flickering start. 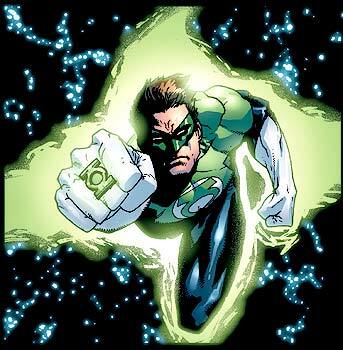 Reynolds also appears to gain strength and resolve. And the first act introduces us essentially to what happens in the last, again, quite successfully. 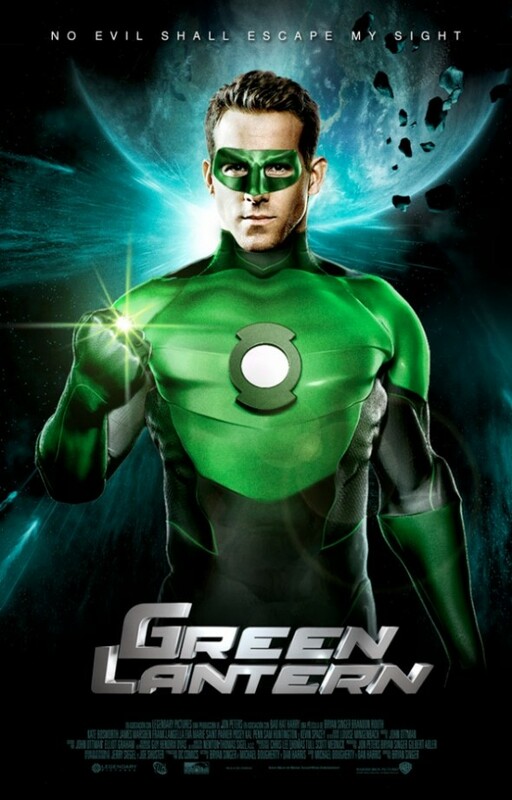 Green Lantern is not bad, but it's far from excellent. Although it is outclassed by X-Men, Thor and the rest, it isn't a flop. Let's hope the franchise gets better and more brilliant.